Mamgu’s Campervan Goes Out & About for Easter! My new children’s book, Mamgu’s Campervan and the Knights in Shining Armour, was launched at WHSmith in Cwmbran at the start of the Easter school holidays, and then went on a trip to Smiths in Cardiff and Llanelli too! Taking Mamgu’s Campervan out into Wales for the first time was a lot of fun and Helen Flook’s bright and cheerful cover design certainly attracted lots of attention. A huge DIOLCH YN FAWR to everyone who came along and bought copies, and to Jason, Rama and Terry and their teams at the shops for making me so welcome. What a month March has been! 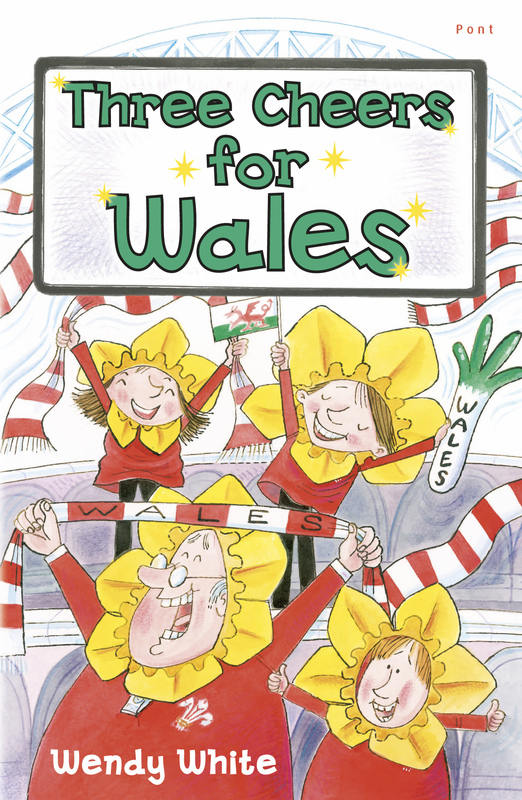 The Welsh Books Council chose ‘St David’s Day is Cancelled’ as their book of the month which was absolutely fantastic. Then St David’s Day kicked things off (thank goodness it wasn’t cancelled!) with World Book Day hot on its heels – there’ve been interviews for S4C & Showboat TV, promotions & lots of fun school visits. And I was delighted when my new book was spotted in Waterstones, Cardiff – I’m so happy to be surrounded by Allan Ahlberg, Enid Blyton, Roddy Doyle, Horatio Clare and Jill Tomlinson on this table!! and finally in my home town of Llanelli. There’ve been Welsh cakes galore – from M&S, who don’t burn their baking the way I reliably do – and lots of interesting people to chat to. A huge thank you to everyone who bought copies of my books, and to the shop managers and staff. They’re all very supportive, and they’ve even agreed to have me back in the new year with my new book St. David’s Day is Cancelled. I can’t wait! But now it’s time to hang up my book signing antlers for another year!! 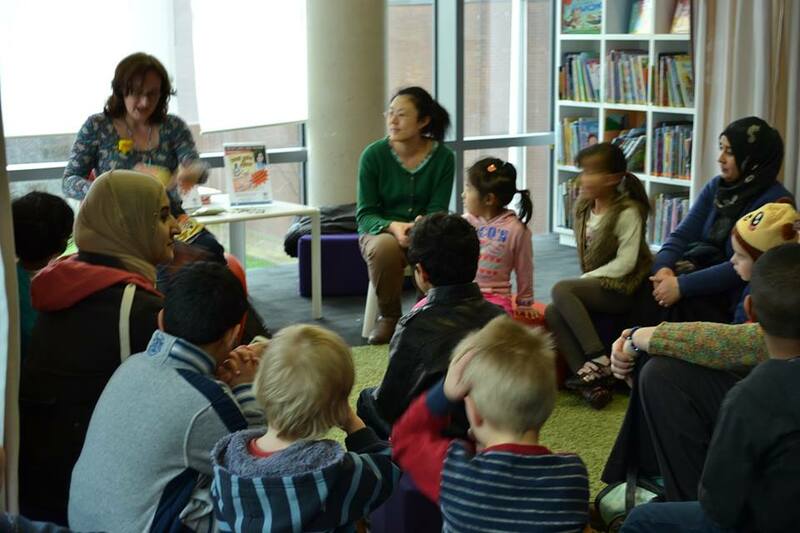 A big ‘thank you’ to the libraries hosting ‘Three Cheers for Wales’ events this Easter. Cardiiff Central Library on Tuesday, 7th April at 2 p.m.
Llanelli Library on Thursday, 9th April at 10.30 a.m.
Carmarthen Library on Friday, 10th April at 10.30 a.m.
Ammanford Library also on Friday, 10th April at 2 p.m.
Come along for stories, Welsh cakes and fun. Hope to see you there! Well done to the boys who played Emyr Rhys and Da-cu at Ammanford library. Well done too to Kara who played Nain. You were all great! 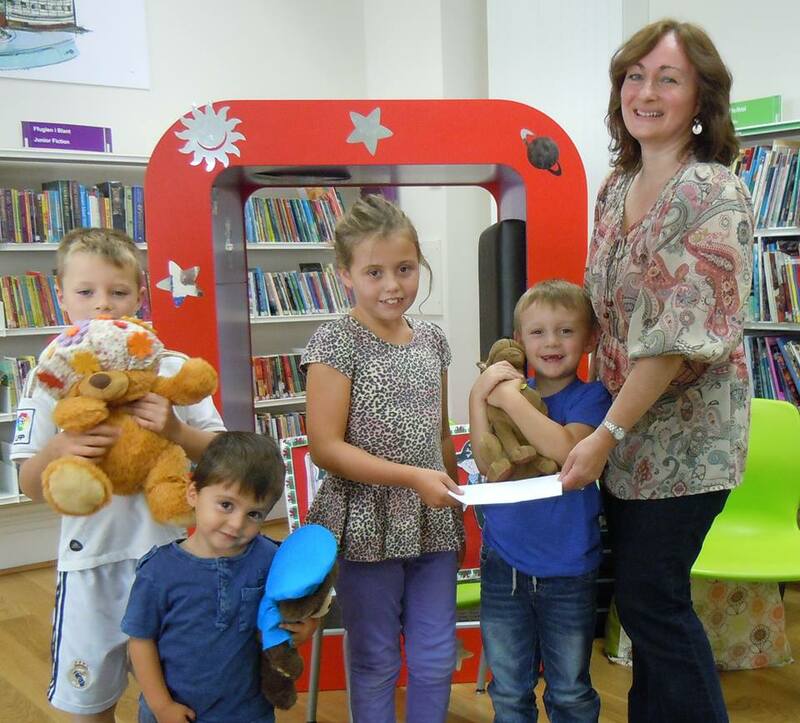 Congratulations to Aimee for winning the Mythical Maze Treasure Hunt at Llanelli children’s library. Thanks to Ashton, Ollie and Dylan for coming along too. I hope you enjoyed the stories! Well done to the actors who played Emyr Rhys, Da-cu and both Nains in ‘Good Job, Emyr Rhys’. You were wonderful! 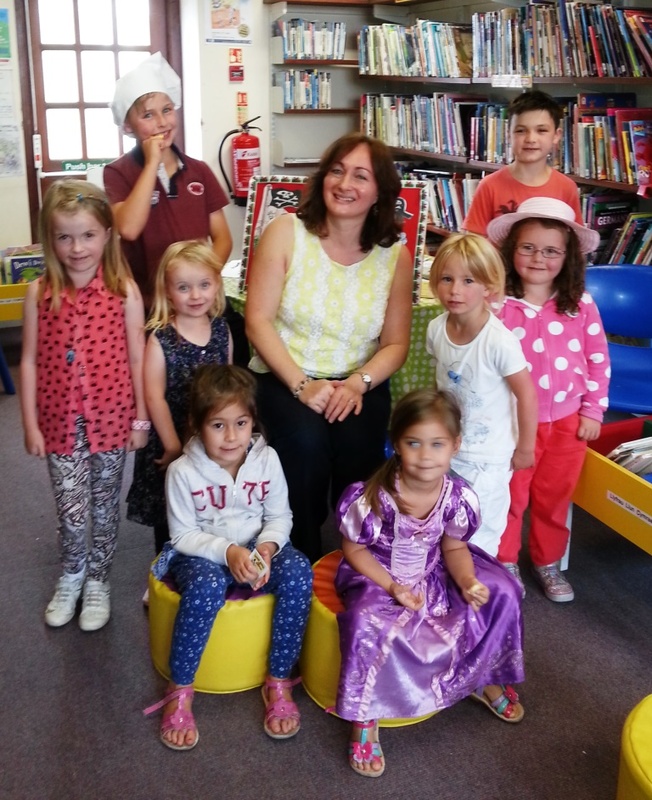 A big thank you to Ammanford, Cardiff and Llanelli children’s libraries for hosting Welsh Cakes and Custard sessions this summer. Thank you to everyone who came along. Thanks to Bethan Eira’s dad for the photographs – diolch yn fawr! Thanks to Sophie for taking this photo at WHSmith in Barry. A big “thank you” to all the branches of WHSmith that hosted ‘Welsh Cakes and Custard’ book signing events over the summer. Special thanks to Karen at Barry , Terry at Llanelli, Rama at Cardiff and Katherine at Cardigan. Thank you to everyone who bought books – I hope you enjoy the stories. 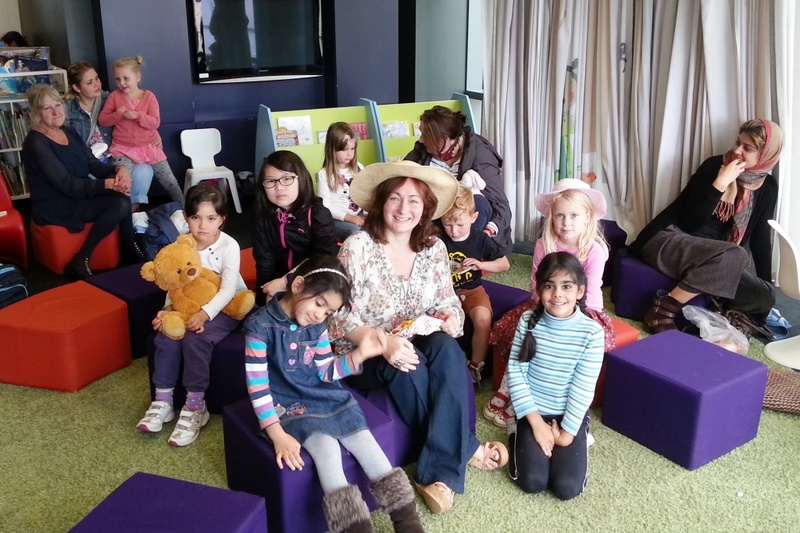 Wendy White joined us in the children’s library this half-term, to read from her first collection of stories, Welsh cakes and custard, about Betsi Wyn and Emyr Rhys two young children living in Wales. Stories about school dinners, dancing in the Eisteddfod and pirate parties were greatly enjoyed by the children and their parents who were then invited to tuck into Welsh cakes provided by Wendy. 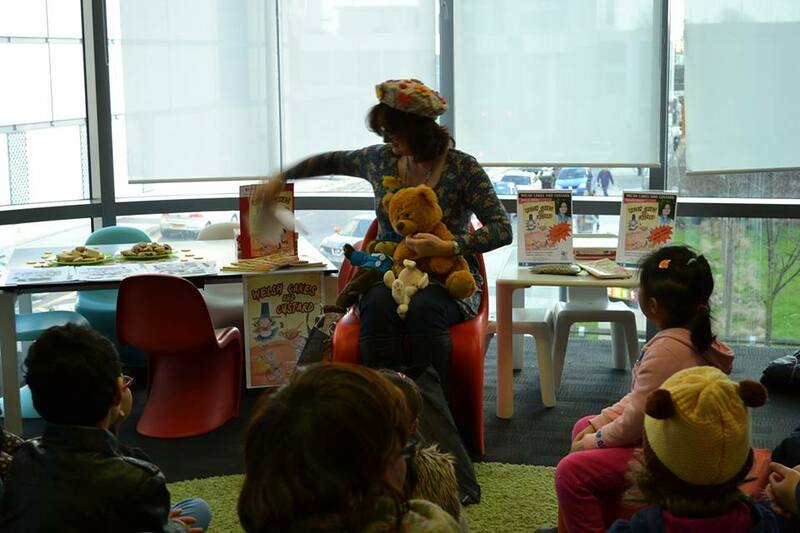 Thank you to Wendy White for giving us a taste of her first newly published book for children.